Almost all of Shinsengumi members were from farm or ronin(masterless samurai). Why they become so famous? This page introduce each member. Please click the name you want to know. He went to Kyoto as Roshigumi at 1862,and later formed shinsengumi with Serizawa Kamo under Matsudaira Katamori. After purged Serizawa Kamo ,he did ragulation and suppression of revere the emperor group,but he lose the Boshin Wer. He was executed at Itabashi execution ground in 1868. It was 35 years old. He wanted to be a Samurai(a man of the sword) becose he listened to Hero Stories told by his father from a young age. When Kondo inherited Shieikan(Dojo:the art of Katana training hall),many legendary members met Kondo and were attracted to Kondo, then come in and out of Shieikan. Thanks to his personal magnetism, Kondo dojo(like a pencil case) was the place members (stationeries) should return back. In 1862, in prospect of being a Bushi(a samurai warrior class) Hijikata went to Kyoto as a Roshigumi with Kondo. When Kondo became a chief, Hijikata was a vice-chief of Shinsengumi. Hijikata made a strict rule calledKyokutyuu Hatto. 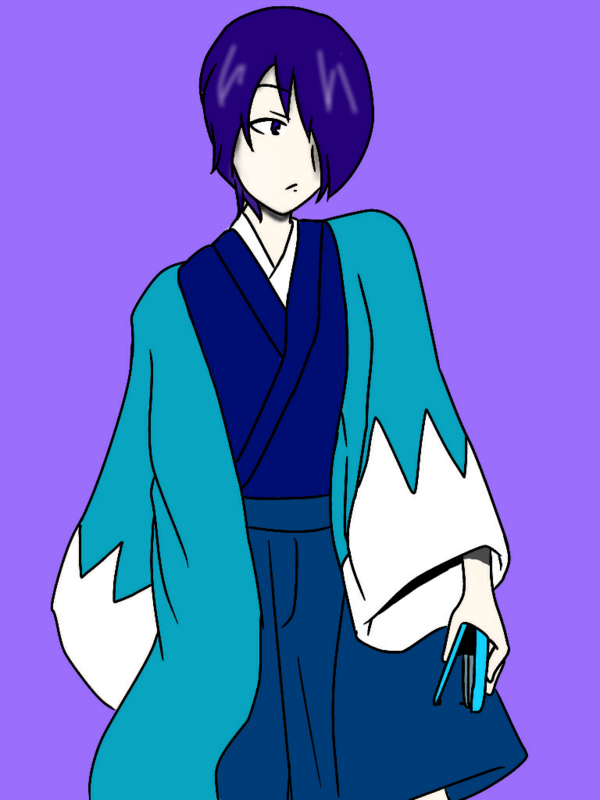 He has a cruel aspect and then made members whob fail to comply with the rulehara-kiri(ritual form of sicide). On May 11 in Meiji era, he was killed in Boshin War. Though he didn't escape and darted at the enemy, a singel bullet hit on his abdomen. He was a “huffer” and liked swordfights in his youth. He purged members who can't be a soulmate even though the member is exective. He is suit to the dangerous cutter. He joined shinsengumi through Toudou Heisuke mediation on October,1864. He was good at both academics and the art of swordplay,so he was soon appointed to be Military Advisor and literature professor. He studied Mitogaku (ancient Japanese tradition and Shinto studies in the main) and then he was a Sonno joi(Antiforeigner and Revere the Emperor)faction.Because shinsengumi was a Sabaku(Revere the Bakufu) faction, so he was killed by other members after banquet on November 11 in 1867. Ito had a good looks and was sharp. According to one view, Ito and Hijikata was opposed to each other, the reason is he had a same position as Hijikata soon after entering the Shinsengumi. Ito doubted that Hijikata might have betrayed him, when he intended to turn his thought into action. He is not brutal but useful, so he is like a scisseors. When he first met Kondo at a swordplay match. 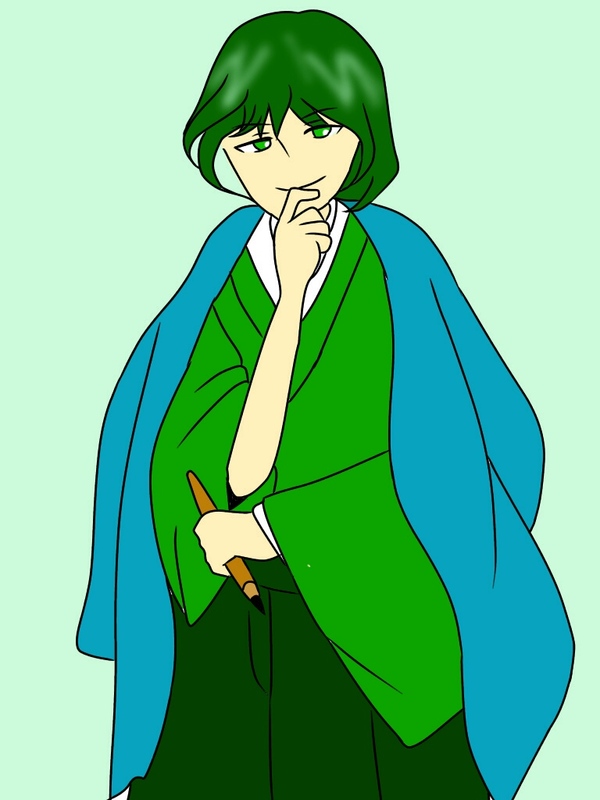 Yamanami was beaten by Kondo, but he was charmed by Kondo's personality and joined Roshigumi. 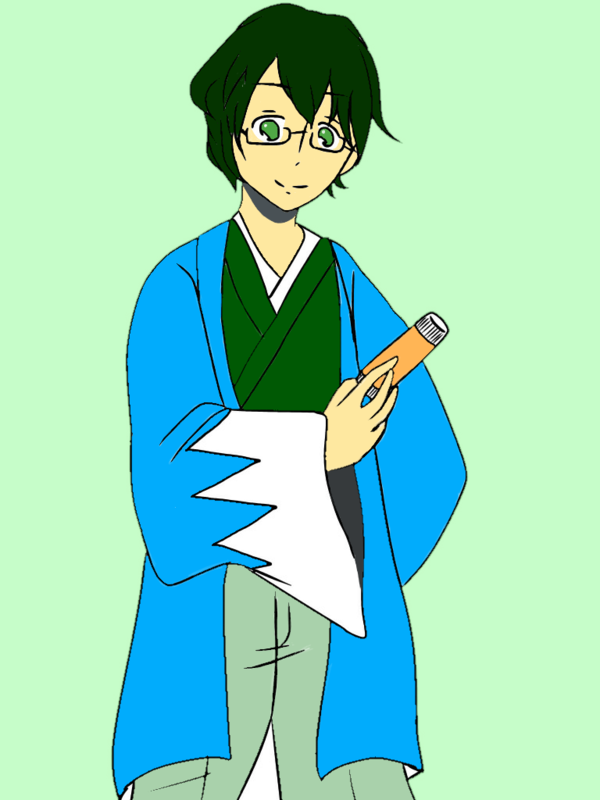 Yamanami was eldest in Shinsengumi and was intelligent, so he has a personal magnetism and adored by Okita Soji too. But, Some people say he was suffering from depression. Because his opinions weren't accepted, so he felt resentful and decided to escape from Shinsengumi. Hijikata make Okita chase him, but Yamanami died of Hara-kiri. He didn't like Kyokutyu-Hatto,especially Hara-Harakiri rule. He was gentle and was liked by other members. His mediating sticked members together. 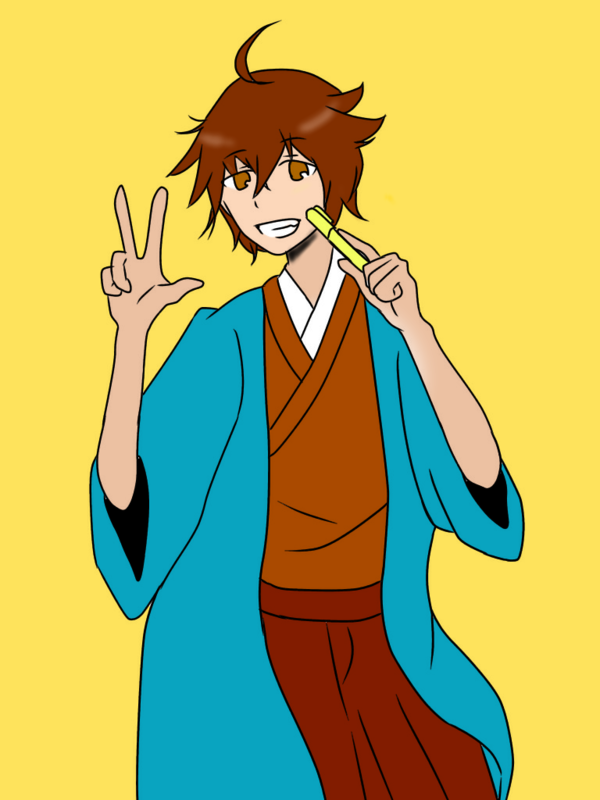 Okita is No.1 or 2 swordsman in Shinsengumi. His troop got through many difficult tasks.So it is said that the sword training was strict and violent. 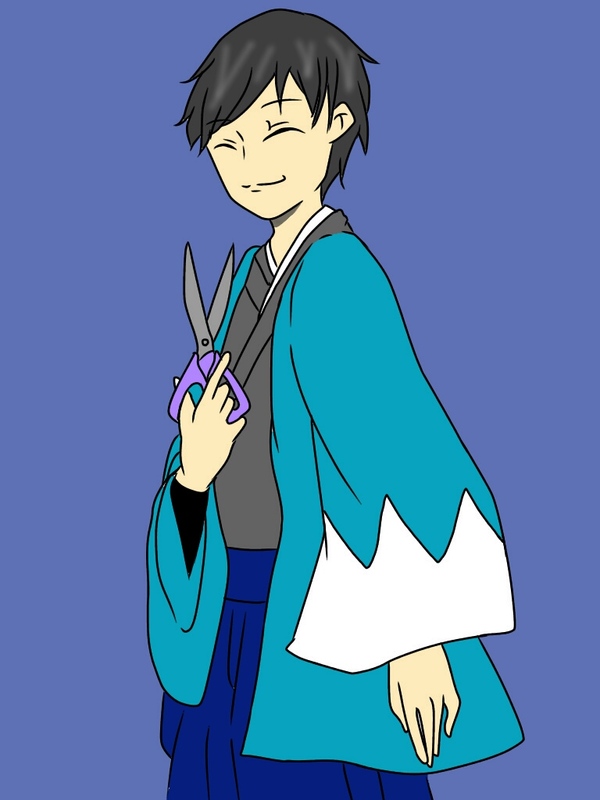 But Okita's character was mild and cheerful. So he seemed to have exchanged a lot of jokes. Because of this character, he earned many member's respect.. Sadly, he was affected by tuberculosis(fatal disease at that time), It was 3 years that he could active as a Shinsengumi member. He diedyoung at the age of 25 in the summer of 1868. WE think this as the ace material. Most famous and popular writing material! That suit OKita!! 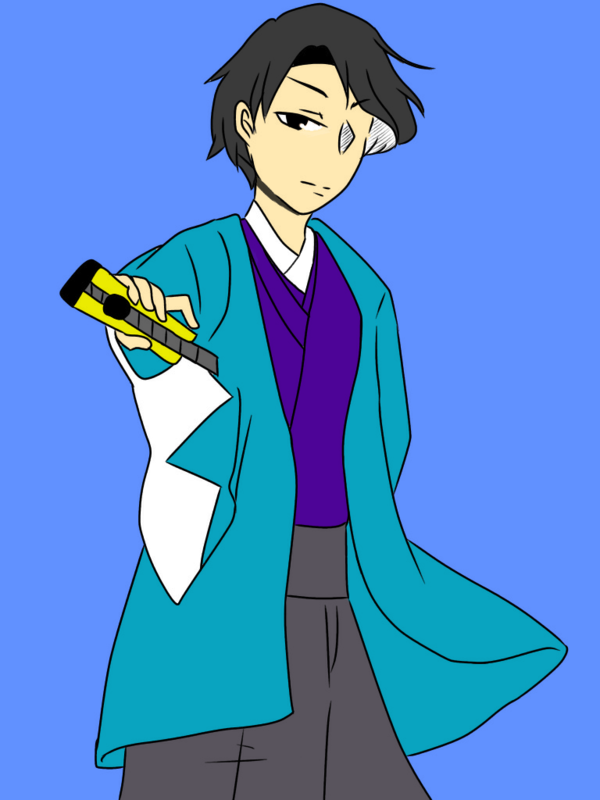 Not Kondo and hijikata but Okita has a genius for sword. When Shinsengumi formed, Kondo and Hijikata planned a strategy, and then Okita and Nagakura actually used force. They were called big four of Shinsengumi. After Ikedaya Incident(after this Shinsengumi became popular), Nagakura couldn't stand Kondo's egotism, so there is a policy conflict between Nagakura and Kondo. The 2nd troop (lead by Nagakura) was beaten at the battle of Toba-Fushimi. Right after the Battle of Kosyu he left Shinsengumi. After leaving Shinsengumi, Nagakura wrote 『新選組顛末記(Shinsengumi Tennmatsuki:Shinsengumi retrospective view)』, he became a storyteller of Shinsengumi. And he died in Taisho era 4. 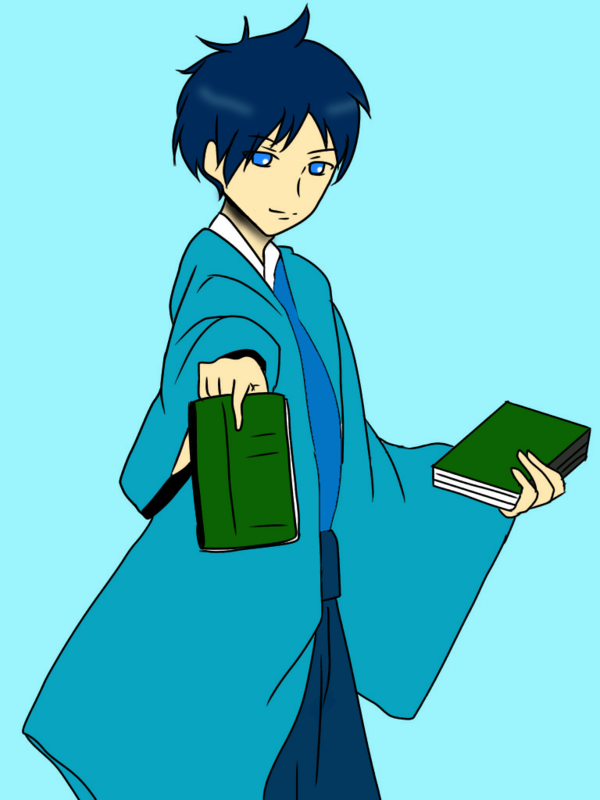 He is one of the few surviver of Shinsengumi and wrote a lot of records. Or he Is recording note. Additionally, these records fixed a bad reputation of Shinsengumi. 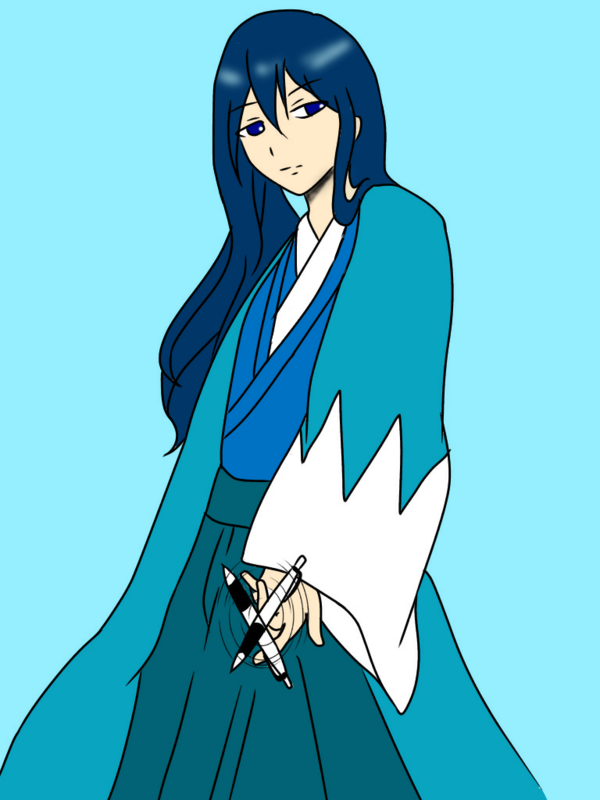 Thoght the sword syle is unclear, Saito was in charge of swordsman instructor of Shinsengumi. Maybe he had a very good skill of swords. I think it was natural he was Captain of the third unit only 20 years old. Not only swordsmanship, he was a good spy. When Saito assassinate Ito Kashitaro, he said to others 'change myself into beggar in front of Tonsho(the place police gather together) and I will kill him at one slash', and then he succeeded in this deceptive attack. 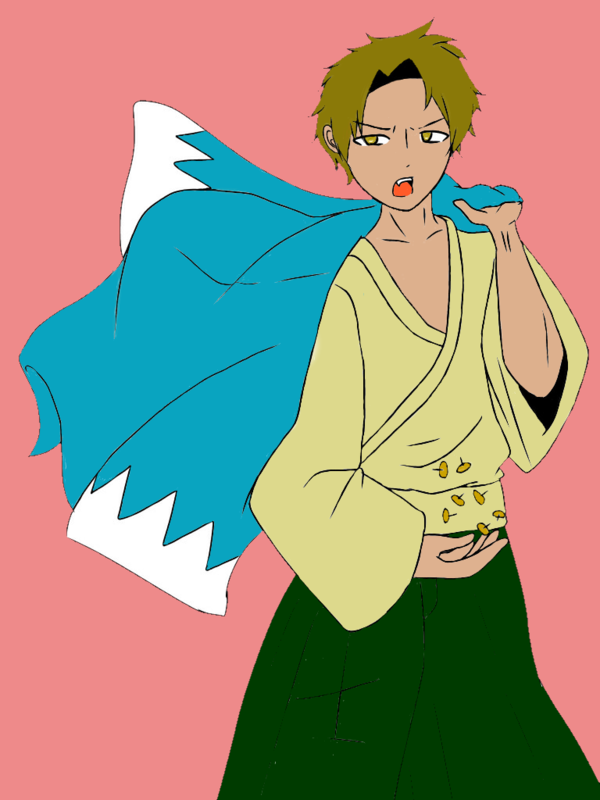 He sacrificed his life for shinsengumi when he was young. However, he was divided the main body of shinsengumi in 1868, and he lived through until 1915. 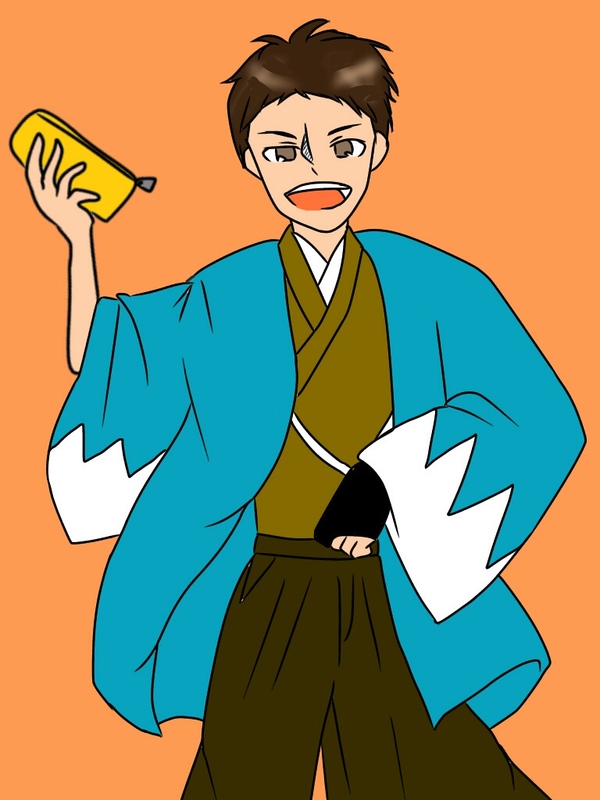 Though he is quiet and reticent, he contributed to shinsengumi's success. He looks good on ballpoint pen which helps to like formal document. He is mysterious. His address and age has been Unknown. He was good at Jujutsu(Japanese art of self-defence) and was Jujutsu coach. There is a famous anecdote about him. He was made fun of him by one samurai when he was walking with geisya girl. He cursed at him putting somebody to the sword. He sometimes went her house, and he gave money. It's a matter of time that he was charmed by the woman who was beautiful and was widow. But his action broke samurai code. This was blamed by Hijikata, so he tryed to commit harakiri. His life didn't lose, but Hizikata's eye was cold. Matsubara's heart glew wild day by day. A double suicide wait for him in the future. He choked woman with jujutsu, and he commited harakiri. Yamanami and Matsubara were called kind, but he chose double suicide at the end. Matsubara was so kind enough to connect people, like a stick grue which paste things together but it will separate easily. Besides initial part of shinsengumi's activity pledge allegiace to Tokugawa shogunate, they were on a roll trends of koubugattai. Not only pro-Imperial faction of him but other samurais for a job opening. He excel in literature, and He has a facile tongue. Kondo favorited Takeda. Kondo left him to literature teacher. But such a glory days didn't last so long. He curried favor with his boss, and he oppress subordinate. He repeated such a days, then he was left out of force. 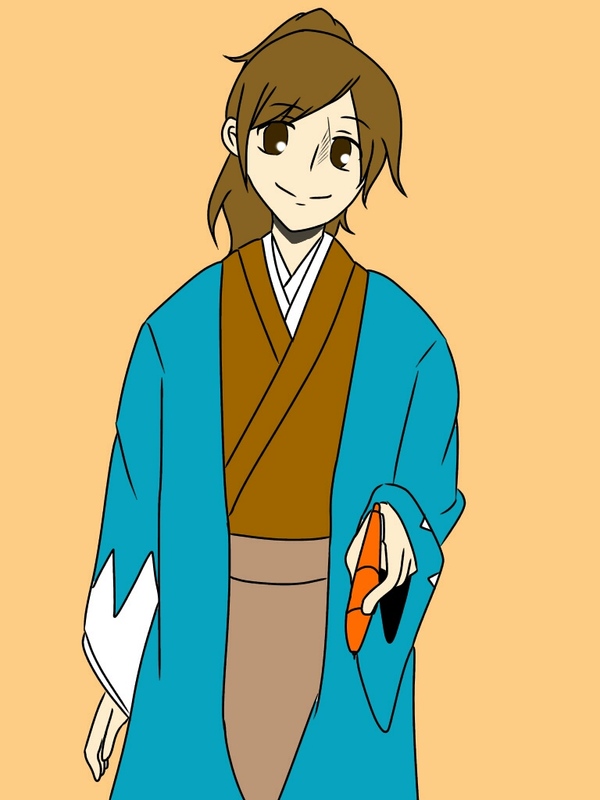 In addition, he connected with Satsuma(shogunate's enemy). For this reason, Kondo and Hijikata made Takeda killed at a surprise attack on June in 1867. Takeda was literary instructor and also he is a famous sodomite. He made a pass at Magoshi Saburo who famous as a handsome boy of force. Brush pen is not a brush or a pen, so to speak, a halfway like Takeda. He was called "Gensan" from his character was serious. His swordplay was suited for actual fighting. When Ikedaya Incident, he participated as Hijikata group. And he got prize money that was seventeen taels(ryo). Although he was late arriving, his aggressive fighting style was evaluated highly. He was faithful to Hizikata's order when Toba-fushimi War. But he death in battle when he try to mount a counteraattack. He have a dignified presence. But he was stubborn. In other words, he had a inner fortitude like Staplers which have a strong needle inside. He was twenty years old when shinsengumi formed its inception. He followed Yamanami when he took part in roshigumi in Kyoto. WhenIkedaya Incident,he charged our way first of all with Kondo. He don't care whether enemies or allies. He just keep slashing mover. Prize money was twenty taels(ryo). He was recognize her movement. But he shocked to purge Yamanami, his heart lost for Kondo and Hijikata then approach Ito. After that he ploted to assassinate a Kondo with Ito. Ito was assassinated, And Todo was killed by ambushed shinsengumi members when Aburakouji incident. He was called "Sakigake Sensei", becouse he was always an advance guard at war. When he is 15 years old, Harada is called a cowardly man because of not knowing how to do Hara-Kiri(self-suiside). That made Harada very angry and He did Hara-kiri instantly. He narrowly escaped death, and he brag about wound in the future. The hot-blooded man participated in various incidents. He had simething to do with assassinate a Serizawa Kamo as executive. When Ikedaya Incident, he acted violently with spear. And he played a part in assassinate a Ito. He leave Kondo who has chenged after losed Kosyukatsunuma War. He took part in Boshin War from shinsengumi. But he repeated lost battle. He died becouse the condition of getting worse at Ueno War in 1868. He seems to have been a lively, but a little dengerous. He suits thumbtack which is extremely troubling to many people in a wrong usage.